International Airlines Group (IAG) (British Airways, Iberia and Vueling Airlines) (London and Madrid) today (February 28, 2014) presented Group consolidated results for the year to December 31, 2013. Cash of €3,633 million at December 31, 2013 was up €724 million on 2012 year end (December 2012: €2,909 million). “In 2013, we strengthened the Group by acquiring Vueling, embarking on Iberia’s transformation and enhancing British Airways’ revenue performance. This has led to a strong financial recovery and return to profitability with a turnaround of nearly €800 million. Our operating profit was €770 million before exceptional items, with passenger revenue up 5.8 per cent and non-fuel costs down 0.7 per cent. “British Airways continued its solid revenue performance this year and we’re seeing cost improvements, resulting in an operating profit of €762 million. This is the first full year that it’s benefited from the additional Heathrow slots and greater network flexibility created by bmi’s integration. Both the A380 and Boeing 787 were introduced into the airline’s fleet successfully. The new aircrafts’ economic and environmental performance has been excellent and customers love them. “Iberia has made huge progress on cost control as its restructuring takes shape and great credit should be given to all those involved. It has reduced its losses in the year, reporting an operating loss of €166 million. The recent pay and productivity agreements between Iberia and its pilot and cabin crew unions are key to reducing the airline’s costs further and providing the foundation for profitable growth. “Vueling is a great asset and provides a new cultural dimension to IAG. The airline reported an operating profit of €168 million from April 2013, when we acquired it, and expanded its network across continental Europe. To increase capacity while improving profit margins is a tremendous achievement and underlines Vueling’s value to the Group. “We have shown strong financial management this year. Despite buying Vueling and increasing our capital expenditure, cash was up €724 million versus last year and adjusted gearing was down 1 point to 50 per cent. “Quarter 4 saw an improved financial performance from all our airlines and we are reporting an operating profit of €113 million before exceptional items. Passenger revenue was up 4.0 per cent and non-fuel costs were down 4.1 per cent”. In 2014 we expect to make steady progress towards our 2015 Group operating profit target of €1.8 billion, with relatively flat unit revenue growth, and margin expansion driven by falling unit costs. Copyright Photo: Keith Burton/AirlinersGallery.com. 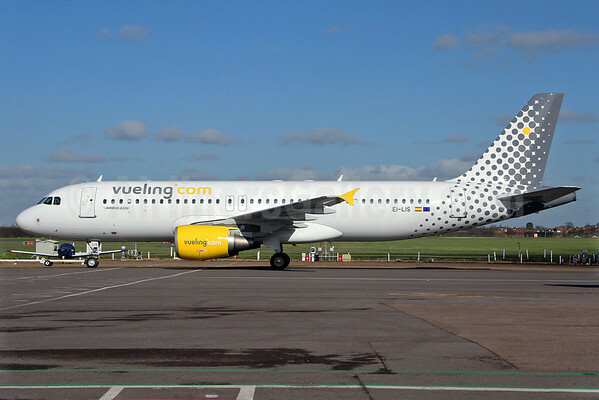 Vueling has been a good buy for IAG. 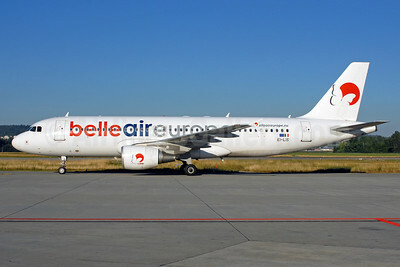 Formerly operated by Belle Air Europe, Airbus A320-214 EI-LIS (msn 3492) has been repainted at Southend. This entry was posted in British Airways, IAG, Iberia, Iberia Express, International Airlines Group, Vueling Airlines and tagged 3492, A320, A320-200, A320-214, Airbus, Airbus A320, Airbus A320-200, British Airways, EI-LIS, IAG, Iberia, Iberia Express, International Airlines Group, SEN, Southend, Vueling Airlines on February 28, 2014 by Bruce Drum. 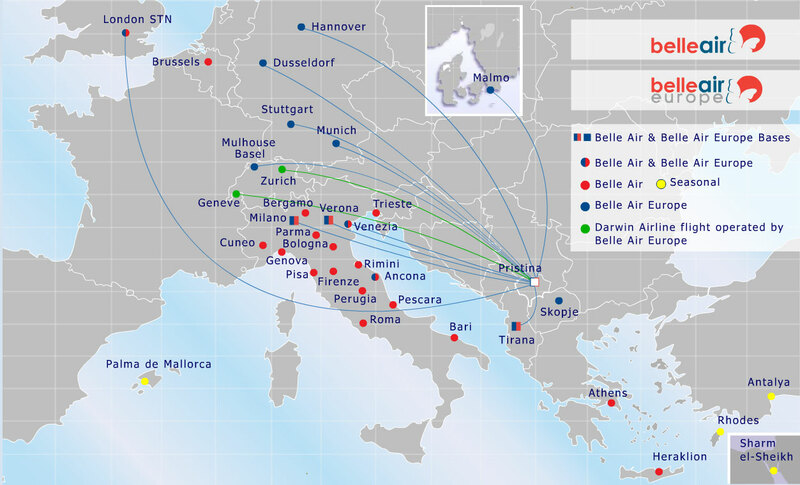 Belle Air Europe (subsidiary of Belle Air) (Ancona, Italy and Pristina) followed the lead of its parent organization and ceased all operations the next day on November 26. Copyright Photo: Rolf Wallner/AirlinersGallery.com. Belle Air Europe’s Airbus A320-214 EI-LIS (msn 3492) taxies at Zurich. This entry was posted in Belle Air Europe and tagged 3492, A320, A320200, A320214, Airbus, Airbus A320, Airbus A320200, Belle Air Europe, EILIS, ZRH, Zurich on December 3, 2013 by Bruce Drum.